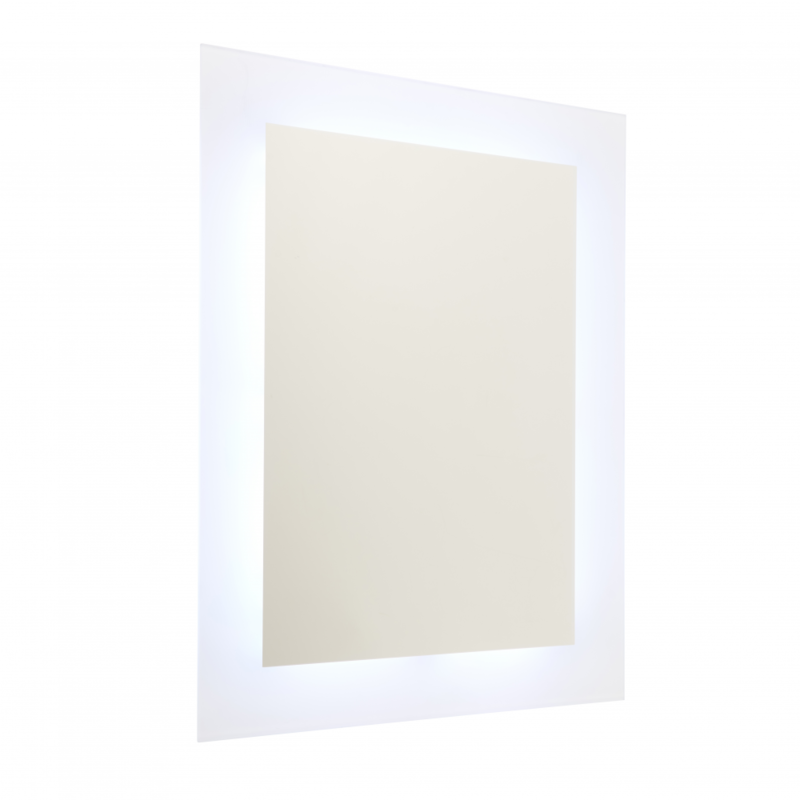 The product LED bathroom mirror features a lit, frosted surround with RGB colour changing capabilities. It can run through 8 colour changes, a myriad of pre selected sequences, or remain on one colour to create ambience. IP44 rated making it safe for bathroom use and operated via a remote control. 60cm height x 45cm width x 3.5cm projection. Bulb information: 14W LED (SMD 5050) RGBW - included. This product is dimmer included and has an IP rating of IP44.